In the heart of the old town on the main square in Makarska newly opened friendly hostel! Our guests are free to share all communal areas within the hostels such as: fully equipped kitchen, bar, nicely organized and equipped garden terrace with BBQ, charming roof terrace with seating area, and additional services. 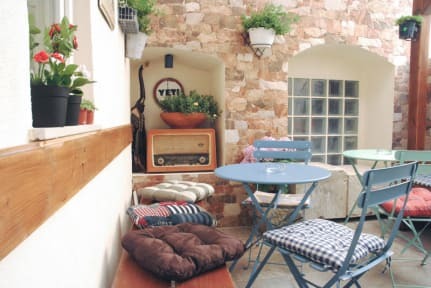 Within the hostels there is also already well know bar “Yeti” where one can enjoy morning coffee in nice serenity and / or an evening drink over good music on the main square in the organization of the “Yeti” club. Services included in the price: breakfast, usage of all communal areas, usage of PC desk, safe deposit services, luggage storage, usage of ironing equipment. Hostel Yeti is located in the very heart of the old town on the main square and in the very proximity of all main local amenities. 500m from bus station, just go to center of Makarska. At Hostel Yeti we offer dorm facilities with breakfast in mixture dorms. All dorms are air-conditioned and provide free wi-fi . Bathrooms are divided in to man and woman bathrooms with hair dryers. 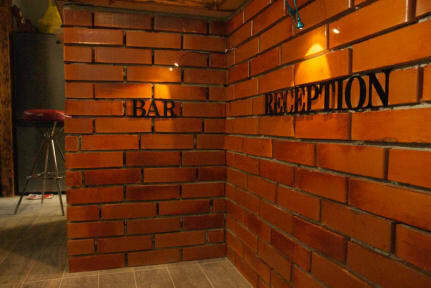 Guests of the hostel may enjoy a 10% discount in 'Yeti' bar. Il miglior ostello in cui sia stato!! Camerate pulite e molto comode, cucina bellissima con tutte le cose che servono, personale simpaticissimo e posizione ottima in piazza centrale di Makarska. FANTASTICO!!! !